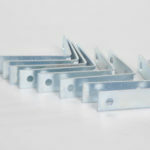 Gap Control is available in 8′ lengths. 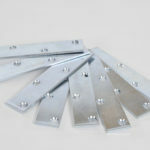 It is capable of filling gaps up to 5″ in width. 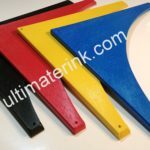 This product is a tube bag that is packed with mold resistant flexible granules allowing for your personal modification as per your ice rink frame gap between rink board bottom and ground. When you have a difference in gap, or any gap at all between your frame and the ground “Gap Control” is the answer. Allowing your water against the liner unsupported to fill gaps over 1″ may burst your liner off the frame where you have it fastened. This is where Gap Control comes into play. If you have an unplanned gap that you don’t know what to do with……. Fill it with Gap Control! Get the Ultimost with your Ultimate. 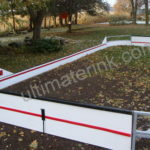 Real Rinks for Real Yards! Partnering with you for success. Gap Control is crazy good, crazy simple with awesome effectiveness! See the photo gallery for hi-lites. Most of us have a 1/2″ to at least 5″ space that appears where we least expect, during our rink assembly process. These water shucking tube bag fill granules allow you to plug that gap up to 8′ long per section in what ever thickness you need inch by inch. Place the Gap Control where you wish and then with your fingers work the granules down the bag towards the open end till each tube bag section fits snugly in place. Position your product snugly into the gaps that need attention and then refasten your elastics on each end to seal it till spring. Both ends are elasticized for easy opening and removal of your granule fill to accommodate your personal Gap Control customization up to 5″. It is pliable for stuffing into that space where you need and stays with proper granule fill. 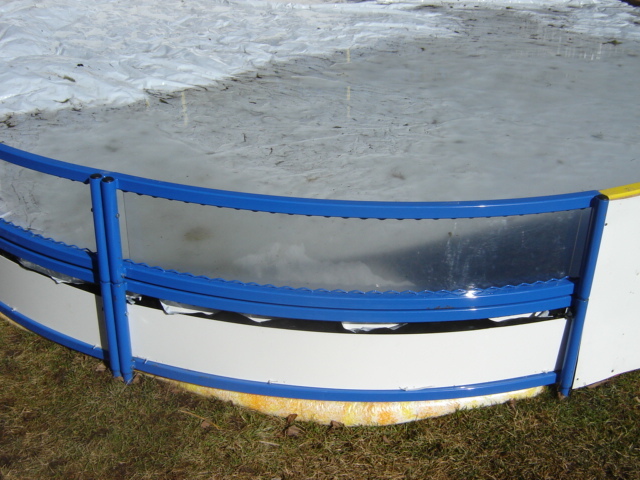 It hides under your liner and is not visible from inside your rink frame. When it snows it is invisible outside your frame as well. Perfect!